The BEST content from tomorrow's best selling authors. That's our promise here at PublishousNOW and Publishous (on Medium). We promise the best-written works from authors that you will be hearing a lot about in the weeks and months to come. That's because we are affiliated with many of the best up-and-coming authors out there. And because we promote our writers like CRAZY!! PublishousNOW is a cutting-edge publishing house that produces on the works that we think will resonate with you best on the topics of Growing your Faith, Improving your Health and Well Being, Empowering you to be more Productive, Entertaining you with a Creative short story, and of course, Teaching you how to improve your own Writing. Best of all, we bring all this directly to your inbox for FREE! Get today's best from tomorrow's best sellers delivered directly to your inbox. 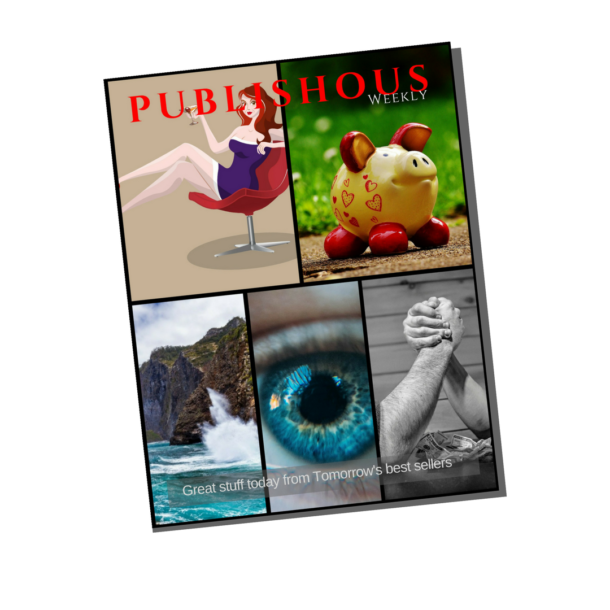 Thank you for your interest in writing for PublishousNOW! We want to promote your work, and when we promote it, we want it to be well received. What does it mean for a piece of writing - whether fiction, non-fiction, poetry, or prose - to "perform" or be "well-received"? Quite simply, it means that people not only see it, but they actually read it. Because your written work cannot impact someone until they read it. And isn't that why you are a writer? To impact people. If you're a serious writer, you need your own website. You can't rely on Medium, Facebook, or any other social media platform to be the basis for distributing your content. Only on your own website can you own all of your traffic, while having control over how you communicate with your fans. Even free websites like Blogspot, Wix, or even WordPress.com are not enough. When your URL is YourName.WordPress.com, the world sees that you're not serious enough to own your domain. But, what if you don't have the time or skill to design your site? No problem. With WriterKit, we take care of all that. You just add content. We host the site, build the site, create your logo, set up a Facebook group based around your content and help you build a thriving community of fans who can't wait to hear what you have to say. Best of all, we've made it affordable. Get all of this for under $99 per month. We accept English-language content from authors from around the world. Many of our authors write from a Christian perspective; we also have authors who are Muslim, Buddhist, atheist, and others who don't discuss their religious views. We intend for our content to be shared across media platforms and open for anyone to read. We also run a family-friendly office and frequently have youngsters looking over our shoulders. That said, we have a wide audience (nearly 1.5 million views per month at last count) and we expect respect of the viewpoints of others. Pieces we view as hateful, bigoted, pornographic, overly controversial, and/or sensationalistic will be rejected. Simply: Please keep your written content PG / PG-13 and your images G-rated. All articles will be standardized with our CSS to comply with our standard colors, fonts, and other styles. The only differentiation/styles, other than headings and subheadings that may be included in your works are bold and italics. If you have certain text that requires a specific font for your message, please find a way to include it as an image within your piece. Pieces that contain too many images or too much text in images as compared to standard text may be rejected. Please use headings/subheadings as appropriate in your works. We generally recommend <h2> as a subtitle at the top of a piece, and <h3> or <h4> in the body to subdivide the piece for readability. For best SEO & readability, we recommend that a subheading have no more than 300 words between it and the next subheading or end of the piece. All submissions should include at least one image that we will use as a featured image on the post. The featured image should be visually engaging, and royalty free (please include citations for all image sources). Images with superimposed text like memes, titles or promotions, are discouraged and may be removed. Including promotions, branding, websites, and or foul language may cause your submission to be rejected. The only text permitted is a small watermark crediting the source. 500-1500 words. Longer is OK, but anything over 2,000 might be run as a series. Shorter is discouraged in anything other than creative works (e.g. poems). We have found that people come here to read, so we encourage you to give them something to read while respecting that they probably have other things to do (so don't expect more than eight or nine minutes of their time). Backlinks are included in your author bio. Calls to action (email signups, etc.) will be removed on PublishousNOW.com. Pieces moved over to PublishousNOW.com from Medium will have any applicable links redirected to PublishousNOW.com. Affiliate links, especially Amazon, will be preserved on Medium, but will be redirected to our affiliate links on PublishousNOW.com. We’ve had great success working with embedded YouTube videos, but not as much with other video platforms, we may edit out content that we cannot appropriately format. If your product is for sale on Amazon, please direct us to it, and, if we accept the product in our store, we will create our own Amazon Affiliate link. If your product is for sale at your own store, or somewhere other than Amazon, please provide an affiliate link for us to use. We appreciate your support of PublishousNOW.com and ask for a minimum commission of 30%. Because we’re seeking mutual benefit through our store, we are not able to allow you to offer your free products. We highly encourage you to continue offering free products on your own websites. We know the best traffic comes from those who already know and love you. The second best – and really the most exciting – traffic comes from people who find you through a search engine because you’ve written about a topic they’re interested in. It’s this type of traffic that helps you grow your base, by introducing your work to people who will come to know and love you. So, how do you get noticed by the search engines anyway? Your pieces on Medium may or may not get the Google love, because they’re wrapped in the Medium cover, and the intricacies that entails are beyond our purview. When we craft pieces on PublishousNOW.com, we use the Yoast Premium plugin to help us understand how to make pieces search-engine-friendly. The old saying in real estate is that the value of a property is dependent upon three things: location, location, location. It’s very similar for SEO – your ranking on Google is dependent on three things: keyword, keyword, keyword. The key word in keyword is plural in that your keyword does not have to be a single word. A keyword can be a phrase that is the subject of your piece. Check your SEO – Yoast. and include your keyword in the first (non-title/heading) line of text in your piece. Eyes like whitespace. Keep paragraphs at 3-5 lines. Use subheadings every 250-300 words or so. I've read and understand the above. I'm ready to write for Publishous!